Here’s some stuff I’ve made you might be interested in. A card version of Delta’s excellent Book of Spells. Includes all 82 wizard spells on easy to use cards for use with original edition of Dungeons and Dragons. 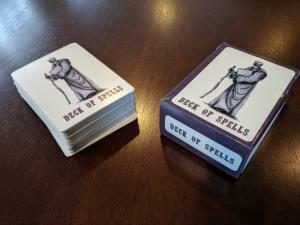 Players can create decks of their spell books, and draw hands into their cards to represent memorizing spells. Cast a spell on an ally, and hand them the card to remember the effect. 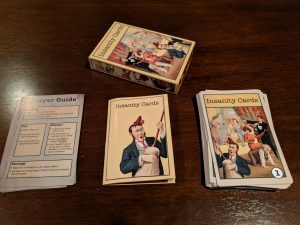 A generic and easy to use insanity mechanic that can be incorporated into any roleplaying game. Players draw cards as they take insanity damage and allocate points towards the insanity cards they find most interesting to their character’s development.